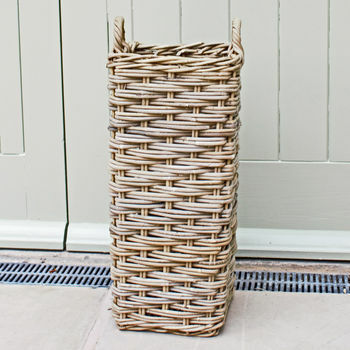 A country styled large umbrella stand woven from willow. 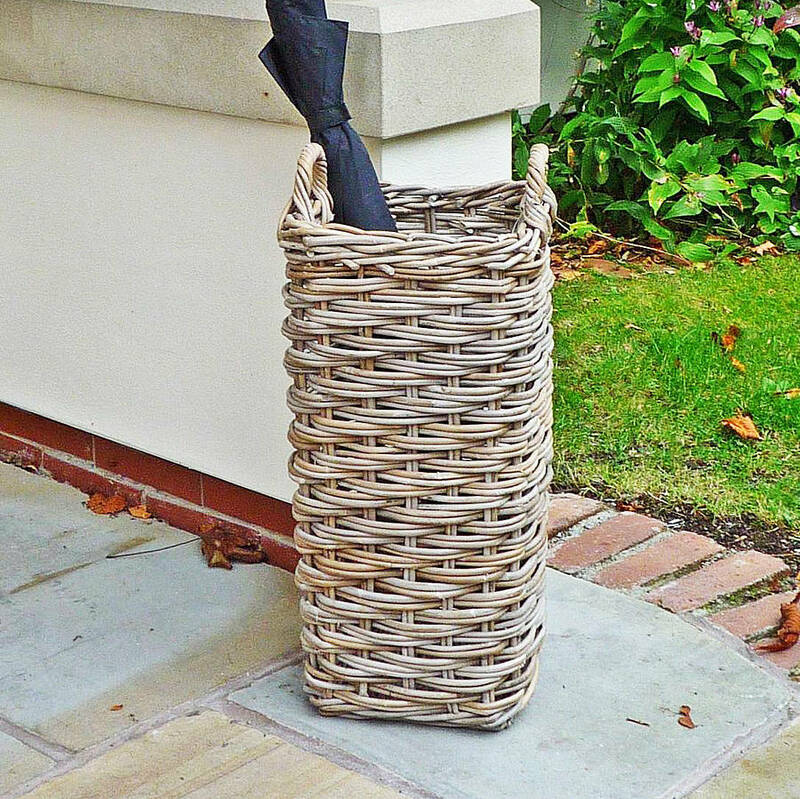 Each umbrella stand comes with side carry handles and provide a great way to keep your umbrellas or walking sticks tidy. 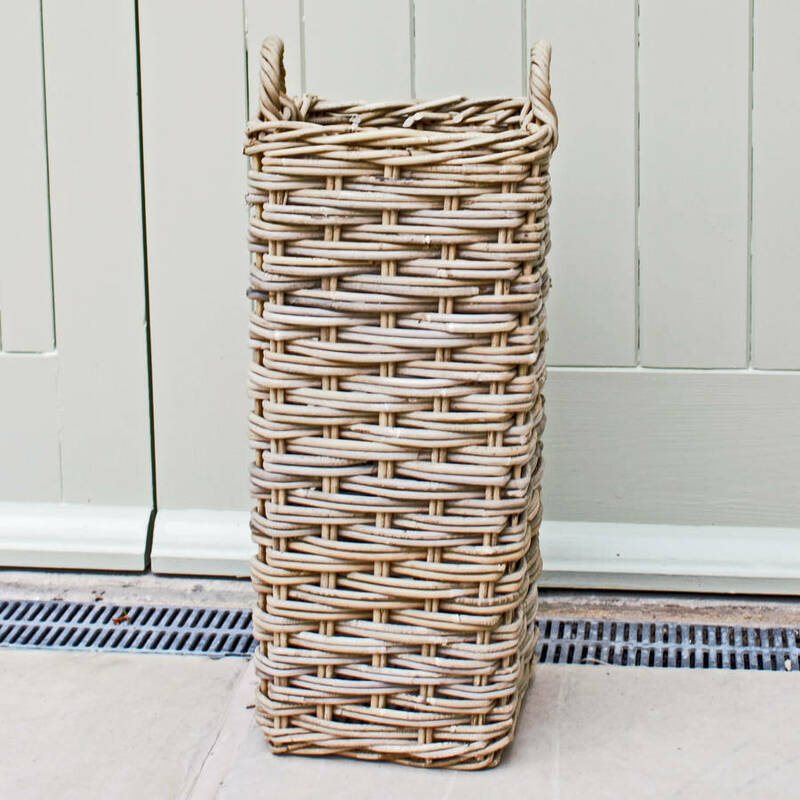 Our willow umberella stands are a must piece for your home this season and they add to a great focal point in your porch or hallway entrance. Please double check the sizes to check which would be most suitable, all sizes are approx as this is a natural product.